AISAT Toastmasters Club is on from April 2014,with a noble motto to provide an excellent platform for those interested to improve the communication skills and leadership qualities. 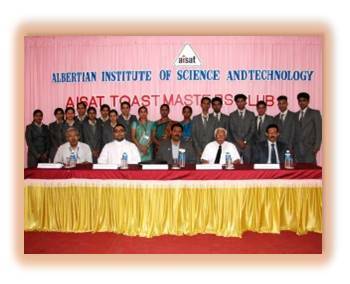 Students, teachers and friends of AISAT are members of AISAT Toastmasters club. Arts Day ‘Chrysalis’ and Sports Day ‘Zealousta’ are annual events held to celebrate the cross-curricular integration, practice and celebration of the arts and sports within our broad liberal curriculum. The events focuses on the craftsmanship and creative side of the AISATIANS. The cream of excelling AISATIANS forms this Elite group. Being the brand Ambassadors of AISAT, special training programmes are offered to sharpen these budding engineers.Purple league is an thought process to carve the best. “The thirst for a sensible, greener, better tomorrow for all” – All these clubs work in unison with a great motto of sustainable development. 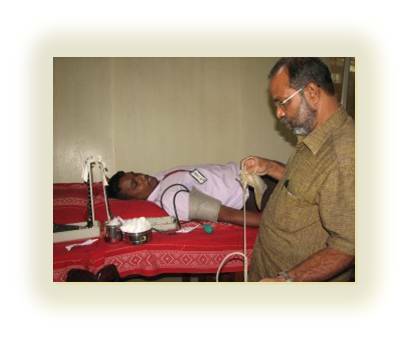 Old age home visits, Blood donation camps, Cadaver donation camps, Billion Trees project- with Green Vein etc. counts to be a few programmes towards crafting socially committed young engineers. 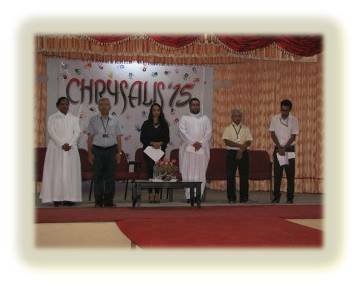 AVANZA, a Spanish word for “get ahead” is an annual paper presentation contest, which AISAT has been conducting since its inception. 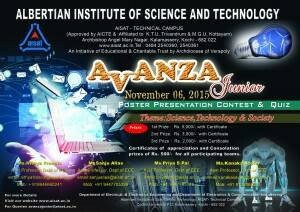 Electrical & Electronics Engineering and Electronics & Communication Engineering departments in AISAT are conducting AVANZA Junior, AVANZA 15’ , giving an opportunity for school students to get acquainted with different technologies that has revolutionized social life. 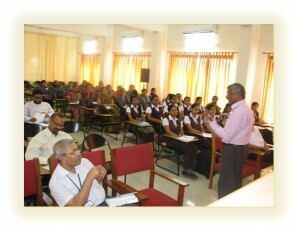 AISAT,with an aim of promoting quality education and research have an equipped wing of research. The faculties and their guides, spend their valuable time at the research centre, evaluating their progress in the research and this is the incubation centre for many innovative projects.